There are many reasons why someone may choose to sell their business. For some, this decision is made based on purely financial reasons, for others, it is lifestyle factors which act as the catalyst. Retirement – Retirement is one of the most common reasons given for selling a business. When the time comes that you want to leave the world of work behind, if there is no one suitable, or willing, to take over your business, then the best option is to sell up. The benefit of selling due to retirement is that there is often ample time available in order to plan an exit strategy. Health of owners/directors – Unfortunately there may come a time when your health simply does not allow you to continue running your business. A lot of small businesses can put their success down to the hard work and dedication of the owner; once the owner is unable to continue taking an active role in the operations, the business may suffer. Time is therefore of the essence when ill health forces you to sell up. Owners want to do something different – It may simply be that the owner has had enough of running a business and wants to turn their hand to something completely different. Running a business is often time and labour-intensive, and there may come a point when a break, either permanent or temporary, is needed. Owners have found something more profitable that they would now like to concentrate on – If the opportunity of something more financially rewarding comes along, then it may be the case that you decide to focus all your attention on this new venture. If you are therefore unable to dedicate your energies to your current business, you may look to sell it on to someone who can give it the time and effort required. Present owners have taken the business as far as they can – Sometimes a business can grow to such a level that the founders of the company feel they can do no more with it. For a particularly successful business to continue to thrive, it may need to become part of a bigger group with more resources. Owners can see a decline in profitability coming – It is only natural that if you feel your business has reached the peak of its profitability then you want to get out before the decline starts. This is a common reason for selling a business, and therefore as a buyer you should ensure you do your due diligence and take future financial projections with a pinch of salt. The business has reached a value that will support future lifestyle and want to cash in – If the business has been successful and has a healthy valuation attached to it, it may be that the owners would like to release this money by selling the business. This could be used to fund a future business purchase, allow the owner to retire, or just to provide a ‘nest-egg’ for the future. Concerns about industry changes – This could include new legislation being brought in, a general regional downturn, or political factors such as Brexit. This again is another reason why potential buyers need to conduct thorough research before purchasing a business as a going concern. Whatever your reason for selling your business, it is always useful to have a professional on board to guide you through the often complex process. 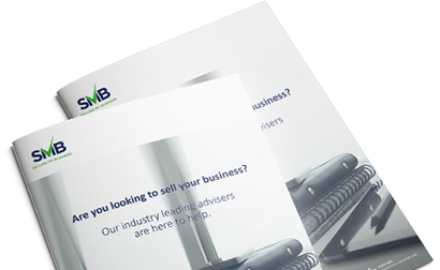 Contact a Selling My Business adviser today to find out how we can help. Previous Article: When is the right time to sell my business?